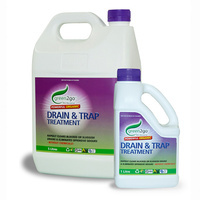 Green2go chemical free treatment for blocked or sluggish septic toilets. Restores blocked and non-performing septic tanks WITHOUT CHEMICALS with just 1 DOSE! Restores blocked and non-performing septic tanks with 1 DOSE! 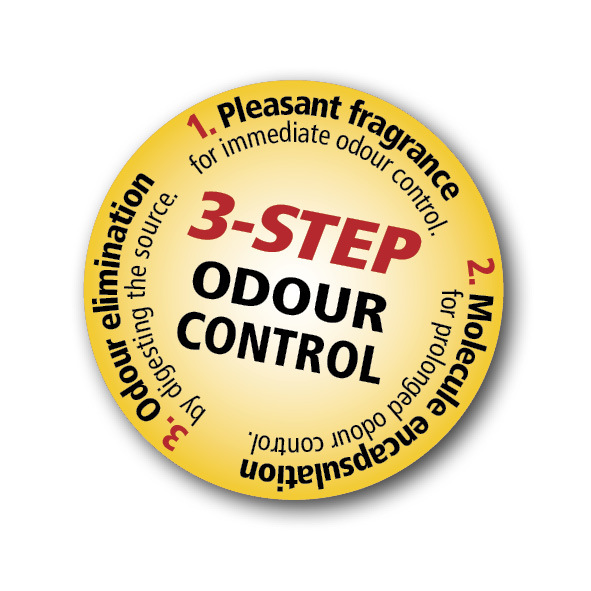 When urgent action is required, this product is the safe, effective way to eliminate offensive odours and restore performance, by maximising beneficial bacterial activity - without chemicals! 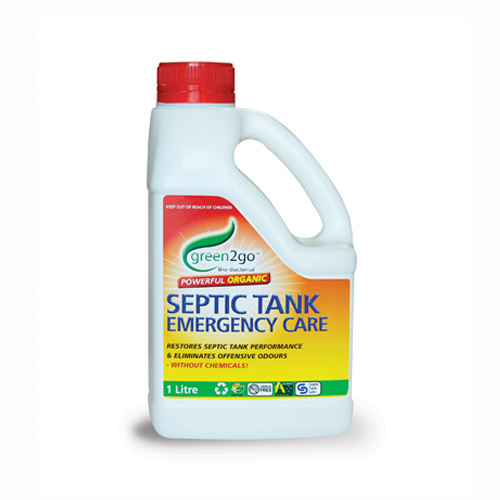 The naturally occurring beneficial bacteria in G2GoTM Septic Tank Emergency Care digest and accelerate the breakdown of sewage, paper, proteins, starches, fats, oils and grease, eliminating odours and reducing volume and frequency of pump outs. Simply apply directly into the toilet at night or when toilet use is at a minimal. You should see an improvement the following morning. 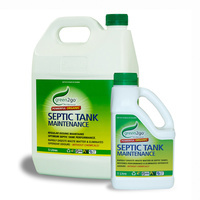 To maintain peak performance, use G2Go Septic Tank MaintenanceTM every 3 months. 1L per 2000L tank, applied at night or when use is at a minimum. Absolutely brilliant. Within an hour of putting it in the toilet, the septic stopped smelling. The pipes unblocked. Couldn't be happier.